Longest Chance includes “ERFID” company, which has 8 years of experience in the field of RFID Based Baggage Operations. Currently, the company is the CIS leader in RFID solutions for business and official partner of industrial giants such as Motorola, Impinj etc. At the same time, “ERFID” participates in numerous European and international RFID associations. By the end of year 2014, “ERFID” has successfully completed and brought to business environments a significant amount of different projects in such areas as warehouse logistics, jewelry industry, exhibitions and conferences, clothing and footwear, archives, libraries and etc. Cooperation with IATA, comprehensive experience, and professionalism of the team, compliance of Hand to Hand RFID Baggage Tracking Systems with all requirements of IATA Resolution 753, deep knowledge of current problems with baggage handling, as well as understanding of up-to-date needs and further evolution of the air industry – these all are our primary advantages for the partners involved in reduction of mishandlings, financial loss, and increasing passenger experience. Strategic partner of IATA in RFID Based Baggage Operations and Gold Partner of ACI World. AIRPORTS will need to provide technical communications and support inside the airport. 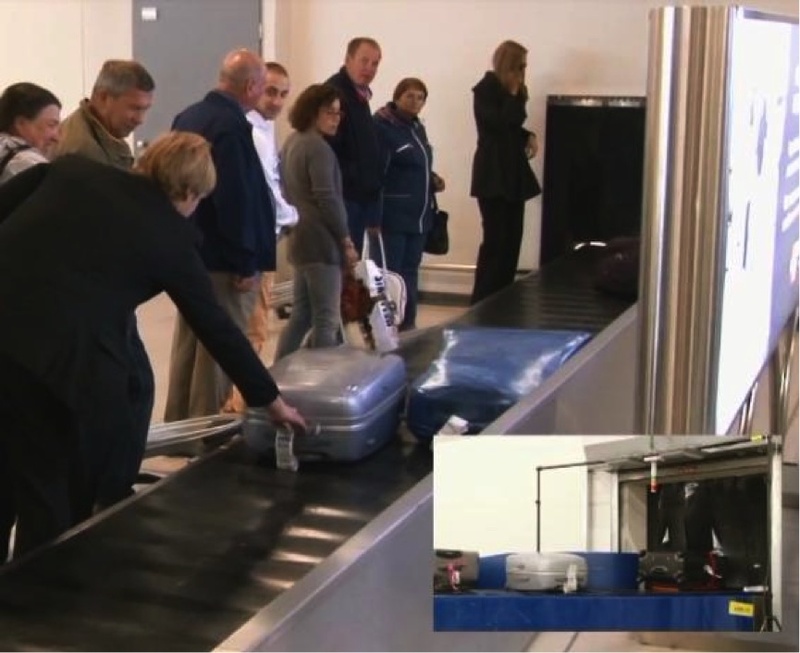 AIRPORTS do not need to invest into the RFID equipment for bag tracking. Global deployment of RFID infrastructure in the air industry. 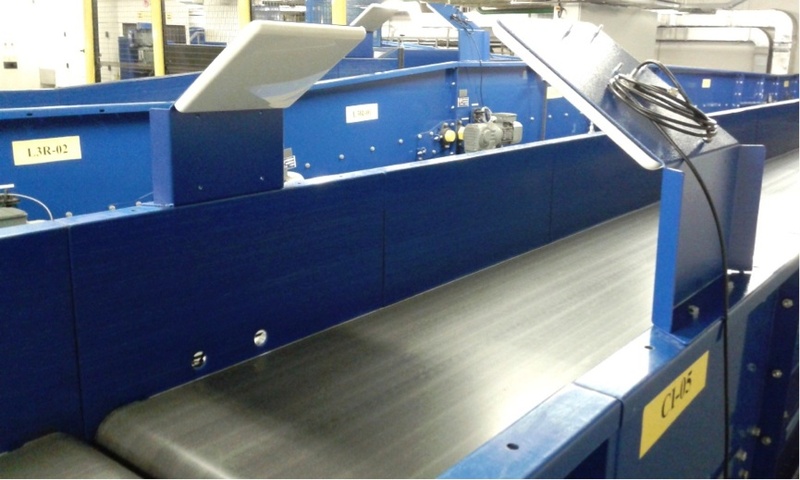 Taking advantage of leveraging RFID and barcode technologies. Providing high level of baggage operations. Full compliance with IATA Resolutions 753. In addition to the comprehensive hardware support of EPC Gen2 (ISO 18000-6), ERFID Communication Server supports hardware active RFID, HF-equipment and the external sensors. This allows using the ERFID Communication Server as the basis for creation of complex systems using the full range of automatic identification technologies to solve various tasks of your business. Provide evidence to an automatic interline proration process. Provide an inventory of bags, upon departure of a flight. Each airport terminal has its own characteristics (different roof racks, different levels of automation, weak points and bottlenecks, etc). Regardless of any features, our system is able to ensure a total control over all areas of baggage movement along the terminal, between terminals, between airports. The system is able to reliably monitor all movements of the baggage sent, transferred and arrived. 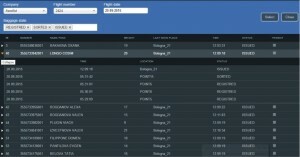 The system can be quickly deployed in separate terminals or entire airport. The system is proactive. Capable in real time to automatically report real time errors that occur thus enabling them to quickly recover. The system is capable of processing large volumes of data, performing analysis, and providing necessary statistics. 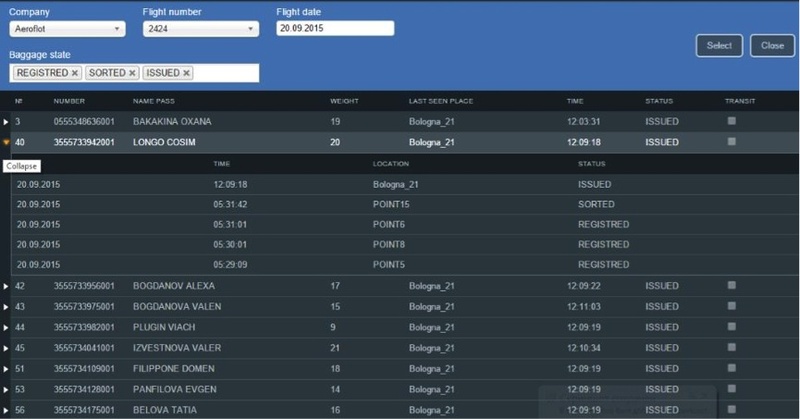 Flexible integration with local and remote airline and airport IT systems. Advantages of Hand to Hand RFID Baggage Tracking System.